If your toddler is taking their time potty training but is no longer fitting their regular cloth nappies, consider our Night Time Solution. 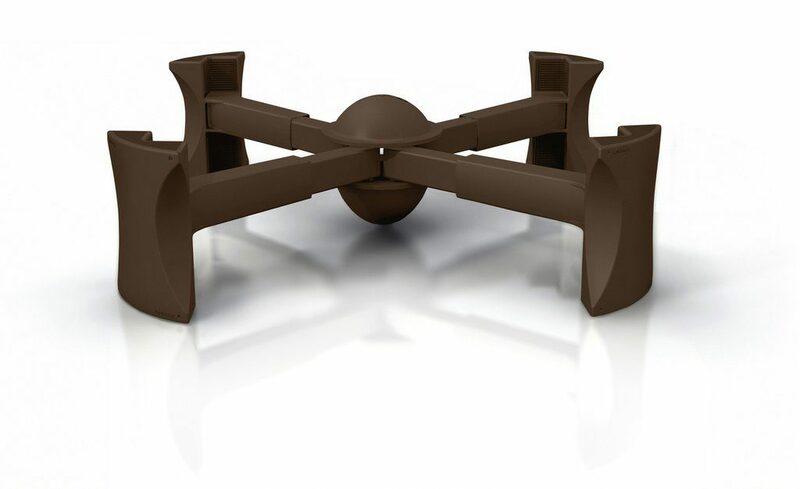 This combo will keep your little one dry and comfortable through the night as well as save you time and money. 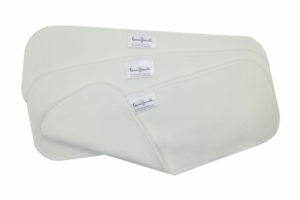 The Fancypants Large Nappy Cover has a super soft polyester outer that is waterproof, and is lined with our plush 70% Bamboo/30% organic Cotton material. Available in Coconut only. 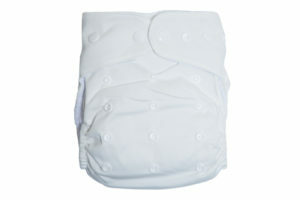 We have included a Microfibre Insert to quickly absorb urine and wick it away from baby’s skin and a Hemp Insert. 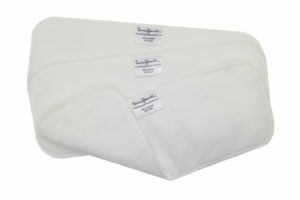 The Microfibre insert is made from a polyester material that dries very quickly making them quick to launder. The Hemp insert is 55% Hemp and 45% Organic Cotton Fleece. They measure approximately 32 x 13cm. 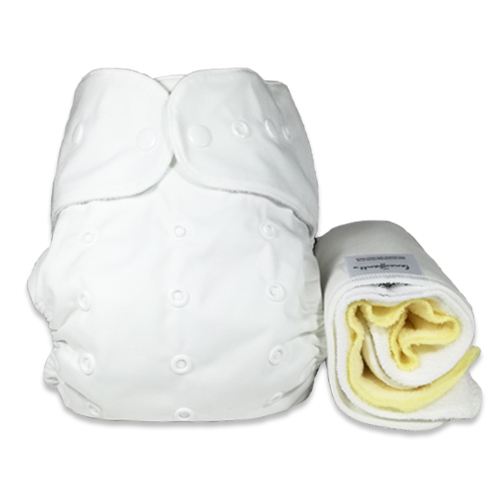 The pack comes with a Fleece Liner made from ultra-soft coral fleece, these washable liners will save you both time and money and keep baby dry.